It’s not just about crafting social media that works for your organization—it’s about crafting an organization that actually works in a social world. We don’t have to argue any more about whether social media is a fad or not—it is clearly hear to stay. 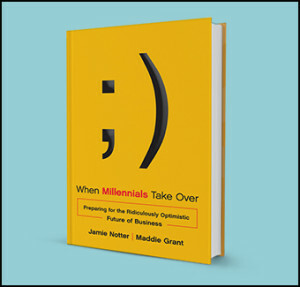 But despite the widespread acceptance of social media as a marketing tool, many organizations are still leaving potential unrealized because they have not figured out how to change their organization–from culture, to process, to individual behavior–in ways that will make it more compatible with today’s social world. 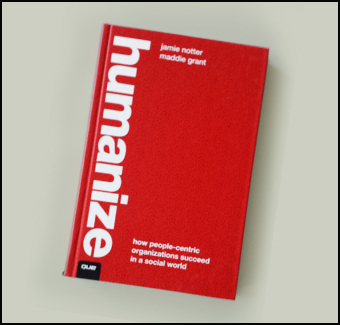 Humanize offers a clear roadmap for bringing your organization “up to code” in the digital age. It identifies 12 distinct organizational traits that must be developed if you want to remain competitive in this changing landscape. The book cites both research and case studies of organizations who have succeeded by embracing these principles, like decentralization, transparency, collaboration, and experimentation–companies like Starbucks, Whole Foods, and Dell. Each chapter provides resources to help you start making changes today, and we offer a complete set of worksheets that you can purchase as well to support your organizational change journey. …Humanize treats you like an adult. This isn’t a book that you’ll put on a coffee table for a quick read. 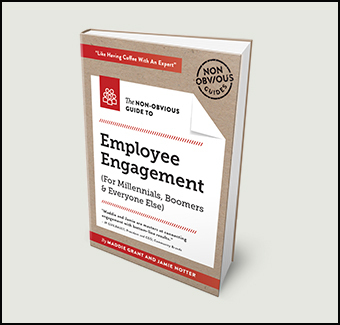 No – this is a business book that you’ll have in your office along with numerous notes you’ve made from it to integrate into your business. Unlike many other books in the space, this book isn’t written by a couple of ‘rock stars’, ‘ninjas’ or ‘gurus’. This book is written by people who’ve been in the trenches and implemented. This book is written by people who have been doing, rather than talking about doing. This book is for you. Buy it. Read it. Read it again…and then read it again. It is that good. We’re amazed by possibilities of social media and social business, of re-humanizing businesses. Yet we, too, struggle with language to describe the future of management. And it may take decades for these ideas to evolve and for us to implement them well. Applying the ideas in Humanize is a great first step. Companies need to be social, and worry less about doing social media. 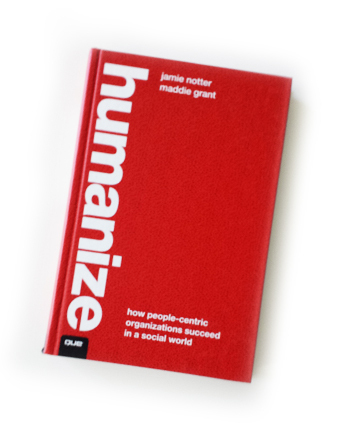 In this timely and important book, Grant and Notter provide a detailed model for making the humanization leap. Social media success is about people, not logos, and embedding that attitude in your company isn’t easy. But armed with this book, you’ve got a fighting chance.